Sakai Community DocumentationSakai 19 User Guide (English) Drop BoxHow do I download multiple files from Dropbox? Select the Actions menu for the top level drop box folder. 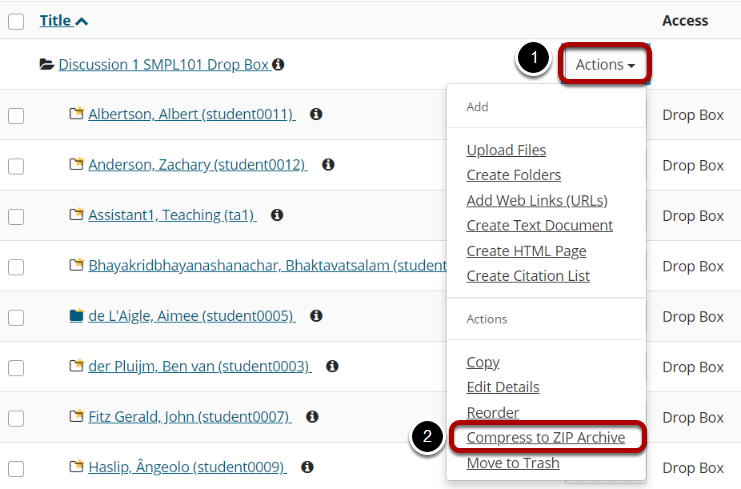 Click on the Compress to Zip Archive item in the drop-down menu. Click on the archive file to download. A zip archive containing all dropbox submissions will appear in the top level folder. Click on the archive file to download it to your computer. 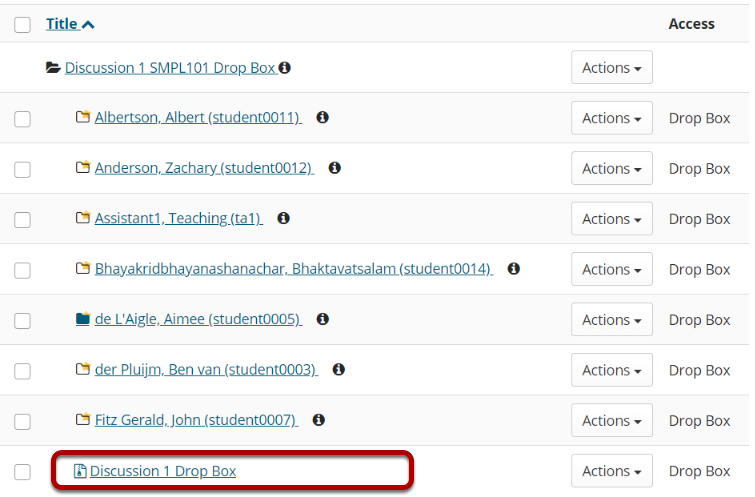 Prev: How do students add items to the Drop Box? Next: What is the Email tool?